The Beatles' fourth E.M.I. session which would produce their first #1 hit. "Please Please Me" album and will not be featured here. The stereo mixes however, are not commonly available. seperation of the instruments and vocals. 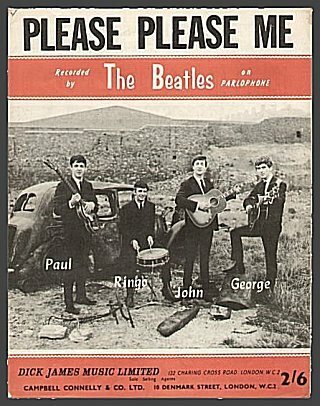 "Please Please Me" is another story. Having, apparently destroyed or damaged the original master tape, George Martin had to use part of an alternate, inferior take of the song to produce the stereo mix. The details of this are clearly described in John Winn's book, Way Beyond Compare.